Globally, a recent study suggested that there are over eight billion visitors per year to terrestrial natural areas. Stated bluntly: more people visit natural areas than there are people on Earth! Alarmingly, this estimate does not include small reserves so the real extent of people interacting with wildlife and recreating in natural areas is even larger. Such high visitor numbers cannot occur without creating ecological impacts. Thus, given the tremendous potential impact of human visitation on natural areas, what can be done to reduce or manage impacts while enjoying the potential economic and conservation benefits of eco- and nature-based tourism? 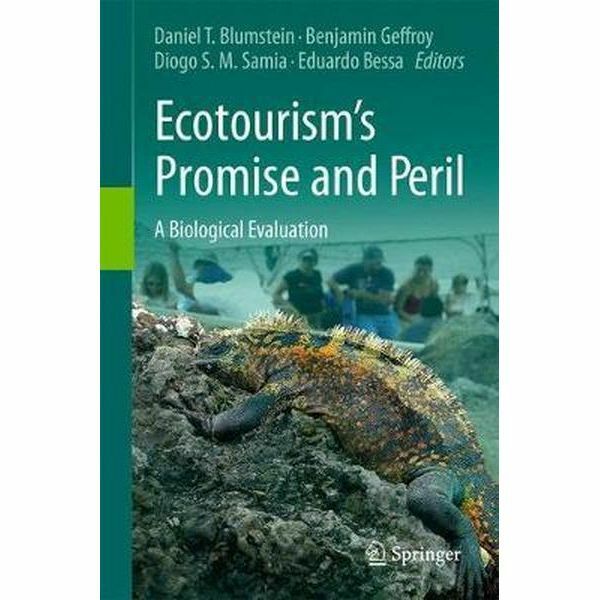 As editors of the newly published, Ecotourism’s Promise and Peril: A Biological Evaluation, biologists Daniel T. Blumstein, Benjamin Geffroy, Diogo S.M. Samia, and Eduardo Bessa compiled unique perspectives of animal mechanism, behavior, and response to environmental stress from eco- and nature-based tourism- a promising industry for local economy and ecology but potential peril for the animals they serve to protect. Click here to read the full excerpt and click here to purchase the book. Click here to read the official book release article- Ecotourism: Biological Benefit or Bane on The Scientist.